Be it through Channel 4’s Time Team or through homegrown heritage documentaries, people’s exposure to, and understanding of what geophysical techniques can locate has greatly improved over the past few years. Many members of the general public will have an awareness of techniques such as Magnetometry and Ground Penetrating Radar and will have at least a cursory understanding of what they are and what they’re used for. We have become used to hearing about the wonderful knowledge that the ever-developing technology employed by geophysicists can offer us about our past and this can be of enormous benefit in terms of informing people outside of the field of geophysics. However, this can sometimes lead to a somewhat distorted understanding of the constraints and limitations associated with our techniques as well as the full extent of the information which we can realistically provide about a given site. Our Geophysical Techniques cover a wide variety of technologies from the most commonly requested and well-known methods such as Magnetometry and Earth Resistance to methods which may be used more infrequently and for very specific site types of archaeology, such as Induced Polarisation for the location of wooden trackways within peatlands. Earthsound have the capacity to avail of a number of varied techniques and, when possible, can deploy more than one technique over a given site enabling us to yield the maximum amount of information available about the archaeology which lies beneath our feet. However…. The first thing we as geophysicists need to know before we can discuss what approach or methodology to undertake on your site is its exact size and location. This is important for a number of reasons. Firstly it allows us to provide you with the most appropriate technique to find what you’re looking for. The geological composition of the bedrock of the site can heavily influence the choice of technique. Although the geological make-up of the island of Ireland is fairly homogeneous, comprising mainly of carboniferous limestone, there are many regions where the geology may have an adverse impact on a technique that the client might request. A good example is the use of Magnetometry in the northern part of the island, where a large amount of volcanic and basalt geology can severely impede the ability of Magnetometry to locate the more subtle magnetic signatures emitted by archaeological remains. The above image shows a Magnetometer survey containing a strongly magnetic geological dyke located throughout the middle of the survey area (the long arcing black-and-white line running top-left to bottom-right). As you can see, the strong signature given off by the geological feature obscures all of the other ambient magnetism as well as any anomalies of potential archaeological significance. Another reason for needing to know the location of the proposed survey area(s) is for sheer practicality. Our Magnetometer array, for example, has a span of about 4m x 3m and has a large turning circle. This, added to the fact that it can be quite heavy, can mean that a promontory fort located on a sheer slope on the edge of a cliff may be a little bit beyond our capabilities! As with everything, we are always eager to accommodate our clients and if we feel that one technique might not be amenable to the requirements of the site, we will suggest another, more appropriate one. What is the land used for? Another related question is the current and past land usage of the site. One of the main things we need to know prior to survey is whether or not it is possible to move our instruments unimpeded and ensure the collection of the best quality of data possible. 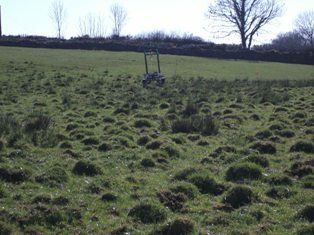 For example, if the land is being used for tillage or silage, we would only be able to carry out our survey once the crop has been harvested or if it is in the very early stages of growth. In addition to this, land which is boggy or poached will present difficulties for our surveying equipment, alternative methodologies may be deployed in some instances. Similar issues apply to livestock so we would request that any areas which are to be surveyed be emptied of cattle and horses in particular. It is also especially important to know whether or not there has been a history of dumping or burning at a site. If a given area has historically been used to dispose of waste (such as cars) or has been used as a location for bonfires for example, this will have an extremely large impact on the efficacy of Magnetometry in that area and will mask any archaeological anomalies. In that instance, it may be that another technique could be employed. However, this of course depends on the site in question and we are always happy to discuss the possibilities. Last, but certainly not least, it is always useful to know what, if any, archaeological remains are expected. The size and type of archaeological remains being prospected for, especially for research, will influence the instrumentation and sample intervals deployed. This is not only time-effective but cost-effective as it means the survey will detect the items of interest. 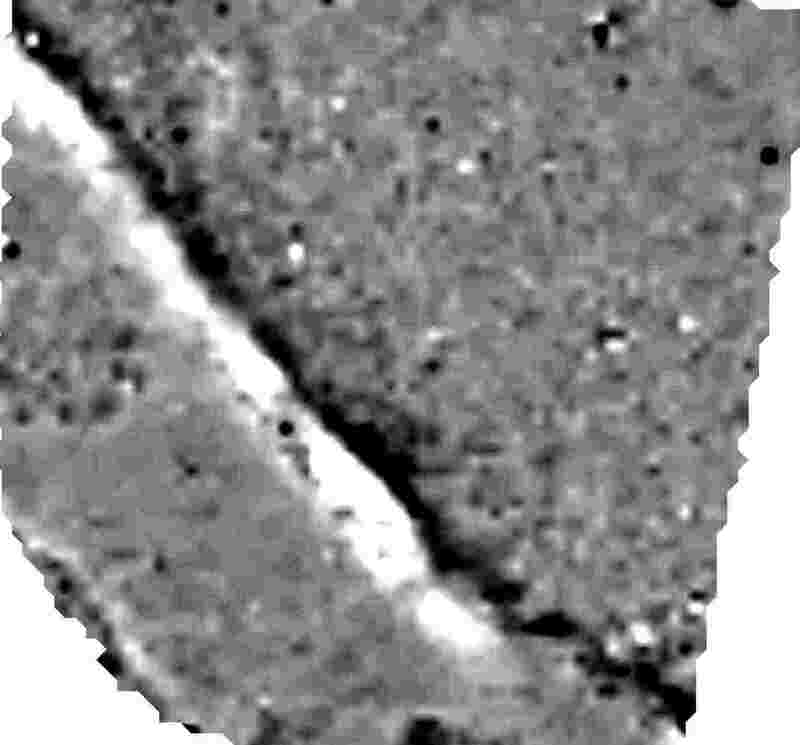 Having a full suite of geophysical techniques means that we can find most types of archaeology, however, some techniques will fair better at finding certain types of material whereas others will be inapplicable. 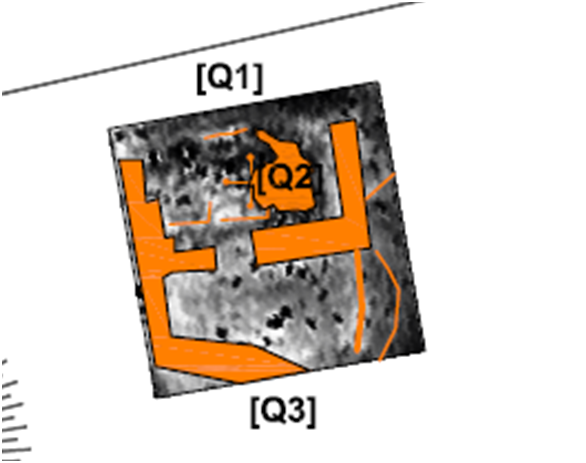 In the case of stone and masonry remains (such as, for example, a castle) a magnetometer will not be able to detect the stone material of the structure. In this instance, where there is a known stone-built monument or structure we would probably advise Earth Resistance or perhaps an Electromagnetic Induction Survey for your particular needs. Another consideration when specifying a technique appropriate to the type of archaeology being sought is the size and morphology of the archaeological elements being investigated. Narrow slot trenches, pits, post holes, grave cuts, relict flowerbeds or other small dug features will be extremely difficult to find using standard sample intervals. 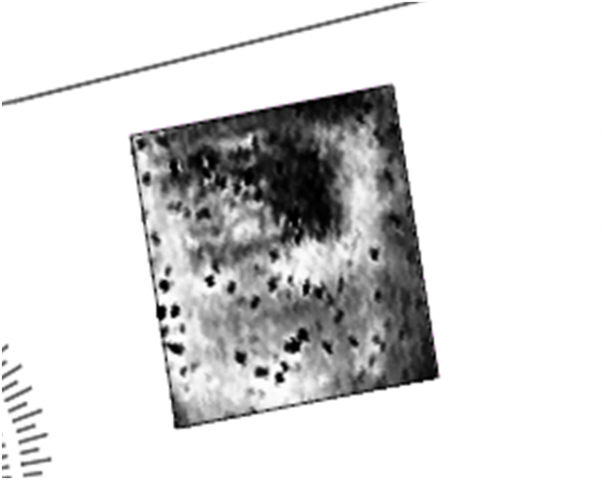 Very high resolution surveys can be used to locate small elements, however in the case of very small features such as stake holes, neonatal burials or small pits the archaeology is so ephemeral that even a very high resolution survey may not locate any remains. All of these things are taken into consideration along with the terrain and type of geology and we will happily oblige in recommending the most effective technique or combination of techniques for the archaeology being investigated and in full consideration of the environment we are searching in. If there is anything else that you are curious about in regards to what we can do for you, then please feel free to contact us.